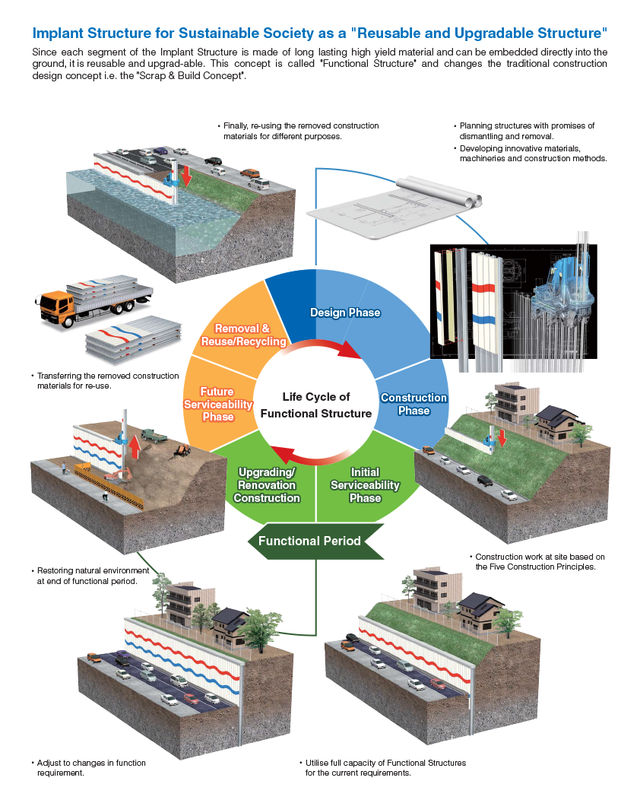 In the service phase, functional adaptations of infrastructures may be required due to a higher demand of functional requirements, shorter structural lifetimes than planned or the necessity of further usage of the same structure at the end of its planned life. 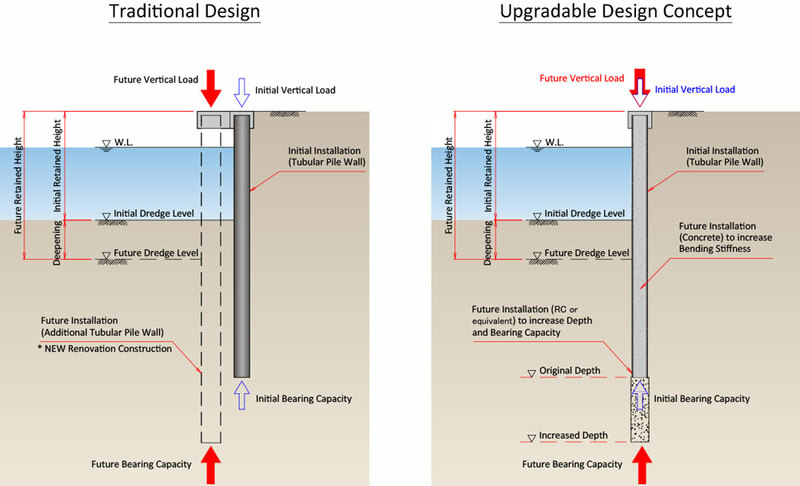 To meet the functional adaptations, traditional structures with the “Scrap & Build” design concept ultimately need high renovation construction and demolition costs. 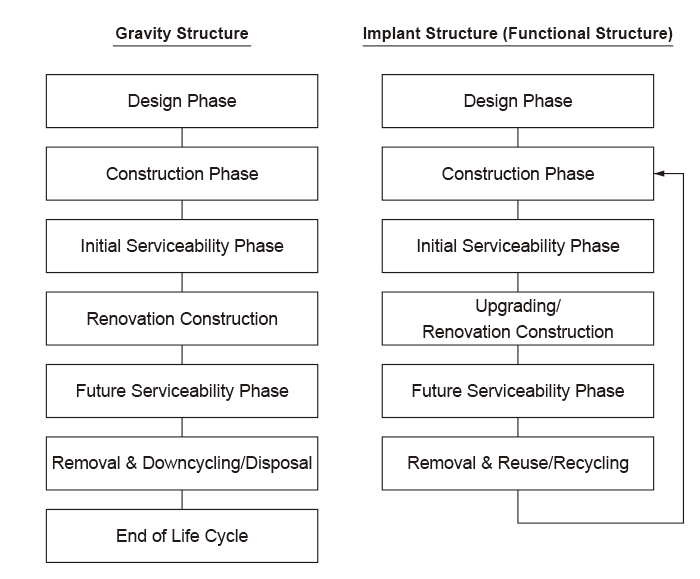 However, with the “Upgradable & Reusable” design concept, the Implant Structures can more effectively and efficiently satisfy the stipulated functional adaptation. Therefore, the total investment costs i.e. construction, operational, maintenance, renovation construction and demolition costs can meet the optimum cost/quality relation.